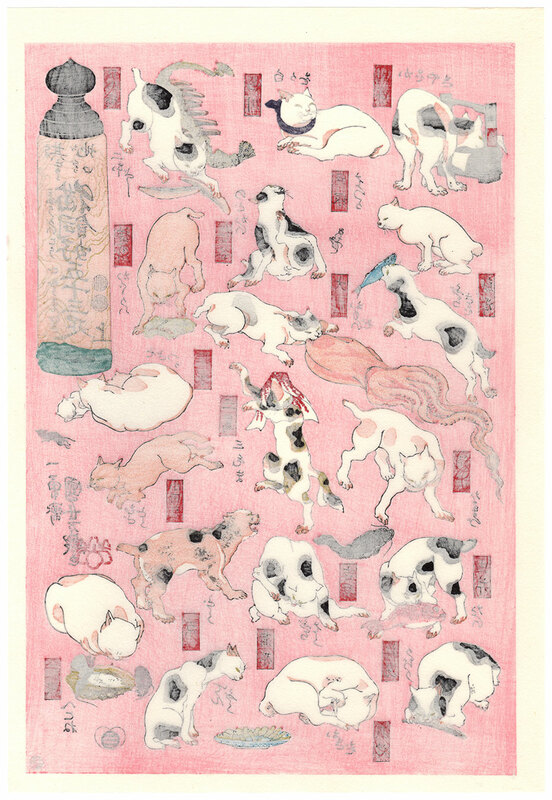 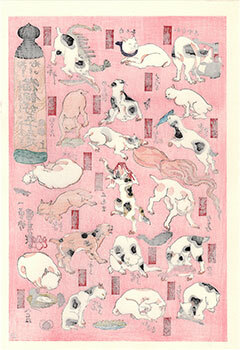 The artist Utagawa Kuniyoshi (歌川国芳) was a cat lover and in this famous woodblock print, in which he depicts scenes representing with plays on words the names of the stations of the Tokaido road (東海道), manages to capture with humor, but also with great accuracy as a result of a careful observation of the subject, many aspects of the charm of these animals. 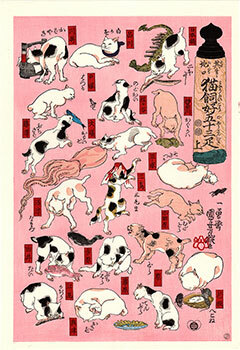 The work, the right panel of a triptych published for the first time around 1848 by the publisher Ibaya Senzaburo (伊場屋仙三郎), is titled "Sono Mama Jiguchi Myokaiko Gojusanbiki" (其のまま地口猫飼好五十三疋) and is known in the Western world with the name "Cats Suggested by the Fifty-three Stations of the Tokaido". 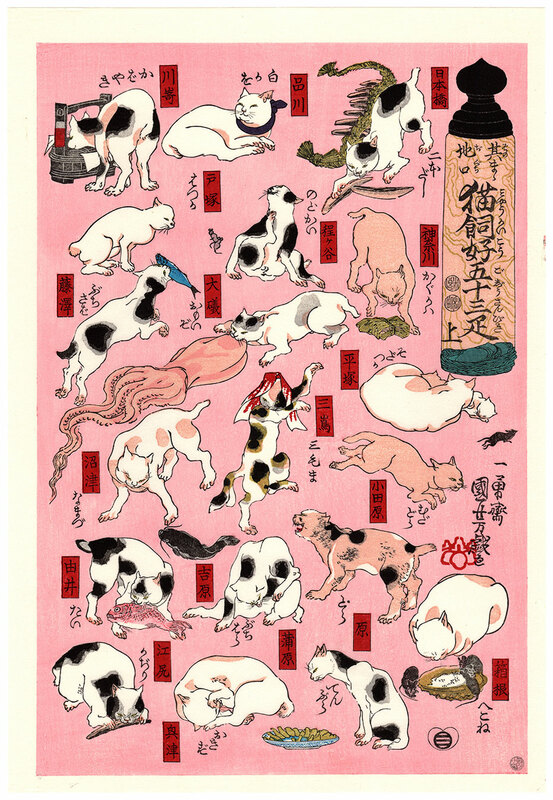 The print on Japanese washi paper (和紙) is presented here in a fine edition of 2013 made, as we read in the seal on the lower right, by the prestigious Watanabe Woodcut Prints (渡辺木版) in Tokyo and is in very good condition.